There continues to be much discussion about the validity and worth of Alexa’s traffic ranking stats. Consequently, Alexa has recently published a a number of articles on its blog to debunk some popular myths and to shed some light on how it gathers its data. I’ll share some excerpts from those articles with you in a moment, but first some background. 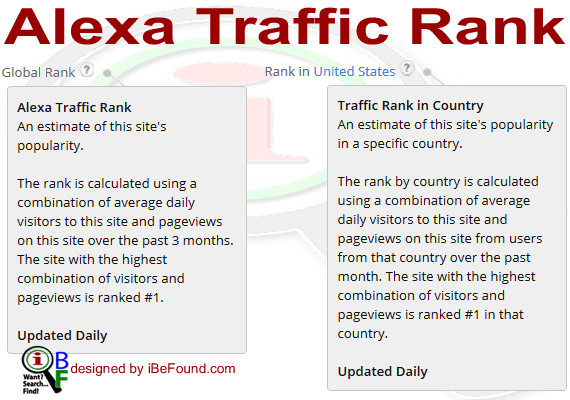 The Alexa Traffic Rank statistics are provided by Alexa Internet Inc., a California-based company that was founded in 1996. In 1999, Amazon acquired Alexa for over $250 Million. the Alexa software, which is free and appears as a toolbar at the bottom of a user’s browser, monitors a user’s surfing to display statistics for Web sites, suggest related sites, and offer quick links to online reference material. Because Alexa is the commercial arm of the Internet Archive, it taps that resource to display Web pages that are no longer live. Instead of fetching a “not found” error message, for example, the end user will go to the archived version of an old page. The nonprofit Internet Archive project seeks to store for posterity Web pages, Usenet discussions, and shareware–anything Net-related that will be lost to history. Alexa gives back by adding to the archive any new sites its users come across. …our traffic estimates are based on data from our global panel, which is a sample of millions of Internet users using one of over 25,000 different browser extensions. However, we don’t just rely on browser extensions. We also gather much of our traffic data from direct sources, including sites that have chosen to install the Alexa script and certify their metrics. It is this unique combination of data from our global panel, plus data from directly measured sources, filtered through our advanced statistical models that allow us to provide you with robust and comprehensive metrics. Myth #1: Alexa only measures traffic from people who have installed the Alexa toolbar. Myth #2: Alexa only measures Internet marketers and site owners. NOTE: The Alexa Traffic Rank is NOT a real-time computation. AlexaRank is updated DAILY but is a calculation involving daily visits and pageviews over the last 3 MONTHS (i.e. 90 days). So, your AlexaRank today is based on your visits/pageviews yesterday and for each of the previous 89 days. 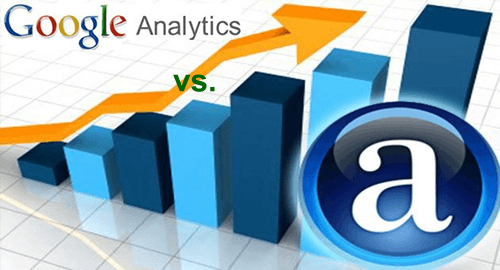 On a number of occasions, I’ve come across articles by bloggers doing an in-depth comparison between the traffic rank according to Alexa versus their Google Analytics traffic stats. Unfortunately, in most of these articles, the bloggers start out with a FLAWED premise – they compare Alexa’s off-site results with Google’s on-site results. You see, to gather Google Analytics data for your site, you must first create a free Google Analytics account and set up the web tracking code on your website. Then the resulting statistics is directly related to traffic on your website. To PROPERLY compare Alexa’s data with Google’s you will need to also have Alexa’s Certify Code installed on your website. Then Alexa will be able to DIRECTLY measure your website traffic. Unfortunately, Alexa does not provide their tracking code for free. So, most people simply opt for Alexa’s ESTIMATED traffic stats which will obviously NOT correlate to their actual website traffic. As a result, when comparing their traffic statistics from Google (on-site) with that from Alexa (off-site), most people are comparing APPLES with ORANGES. The resulting discrepancies they highlight in their comparison is to be expected. This means that, for example, the difference in traffic between a site ranked 1,000,000 and a site ranked 2,000,000 has low statistical significance. Sites ranked 100,000+ may be subject to large ranking swings due to the scarcity of data for those sites. It is not unusual for such sites to decline to “No data” Traffic Ranks, or to improve suddenly. So what Alexa is saying, is that for websites ranked 1 to 100,000 there is a high degree of accuracy of their placement on Alexa’s popularity meter. In addition, there will be better correlation between actual website traffic and its AlexaRank for these sites. Alexa’s toolbars and browser extensions are not currently available for use on mobile devices. the vast majority of Alexa’s global data panel (ie users of Alexa-based toolbars or browser extensions) are bloggers, webmasters, or SEOs. Does Alexa Traffic Rank matter? Who cares about Alexa Traffic Rank? Myth #3: Claiming my site affects its rank. Claiming your site has no effect on rank and you don’t need to claim your site to get measured by Alexa. Claiming your site (which is a free service) and keeping your site description and contact information up-to-date ensures you won’t miss out on any potential business opportunities from the millions of people who visit Alexa every month. Myth #4: Installing an Alexa widget will improve your rank. No, the Alexa rank widgets allow you to promote your site’s rank to your site’s visitors. The widgets are not used to measure a site’s traffic. Part of the process of claiming your site on Alexa (a free service), is to add a verification code to your website. This is NOT the same as the web tracking code that comes with certifying your site’s metrics (a paid service). How do you actually improve your AlexaRank? First, consider this: do you think the top 10 sites listed above (or even the top 500) were focused on finding ways to improve their Alexa Rank? Probably not! Rather they focused on making their site a go-to place for whatever service/product they offer. In time, their popularity increased and they ended up where they are on Alexa top sites lists. The point is, focus on improving your web presence. Make your website a go-to place in your niche and your site’s popularity and Alexa Traffic Rank will improve. Then, be sure to visit your own site on a daily basis in a browser that is Alexa-enabled. You might want to set your browser’s homepage to your website. Alexa looks at traffic patterns across the web as a whole. It is an excellent tool for comparing sites and understanding them in relation to one another, but it is not meant to serve as a tool for analyzing visitors’ behavior in depth at a particular site in the manner of Google Analytics. So, when talking about alternatives, we need to be clear about what type of alternatives we are referring to. Are we looking for an alternative that compares sites like Alexa does, OR are do we want an alternative that analyzes traffic at a particular site like Google Analytics does? Why is my website’s rank getting worse when my site analytics clearly indicate that I am getting more traffic? Why don’t Alexa’s estimated metrics match up with my on-site analytics? How Accurate are Alexa, Compete, DoubleClick and Google Trends? Also, visit our “Website Ranking and Tracking” board on Pinterest for some more insights. Follow iBeFound International Ltd’s board Website Ranking and Tracking on Pinterest. What are your reasons for valuing (or not valuing) the Alexa Traffic Rank? Which Alexa alternative do you prefer to use, and why? Business Owners: What methods are you using (if any) to monitor the effectiveness and reach of your website?